We are proud to be one of New Zealands leading PADI TecRec training facilities with full-time PADI Technical Instructor Trainers on staff. We offer PADI technical diver programs for divers and to instructor levels on twinsets, sidemount and rebreathers. Technical diving is not like the diving you have done before, there is a certain discipline and attitude you will need to undertake this level of training. 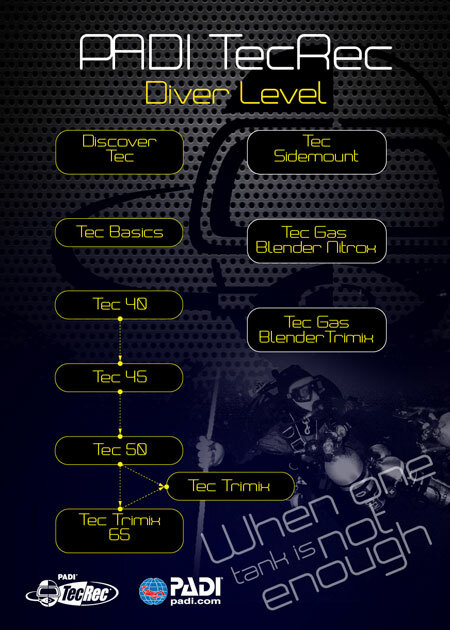 Technical divers are the elite, we pride ourselves on knowledge of dive gear and problem solving situations that many divers cannot handle… Are you sold on it yet? Then let us take you on a journey through the technical diving courses we offer at Auckland Scuba. We train PADI Tec Rec courses from Tec 40 to Tec 50 and all Technical Instructor ratings if you are looking to be able to teach the technical levels. We run all technical courses in either backmount or sidemount configurations so you have the choice of how you like to dive and are most comfortable. Technical Diving will take you where few divers get to go, you can explore deep wrecks and reefs while spending ample time on the bottom. Each course enables you to gain more skill and more experience in deep diving and will take you into decompression as well as using different mixes of air, enriched air and oxygen. You will find your skills before and after technical diver training are completely different, you will become a better diver in all areas from thistype of training and will find yourself pushing your limits. So come and see us or give us a call to find out when our next courses are. 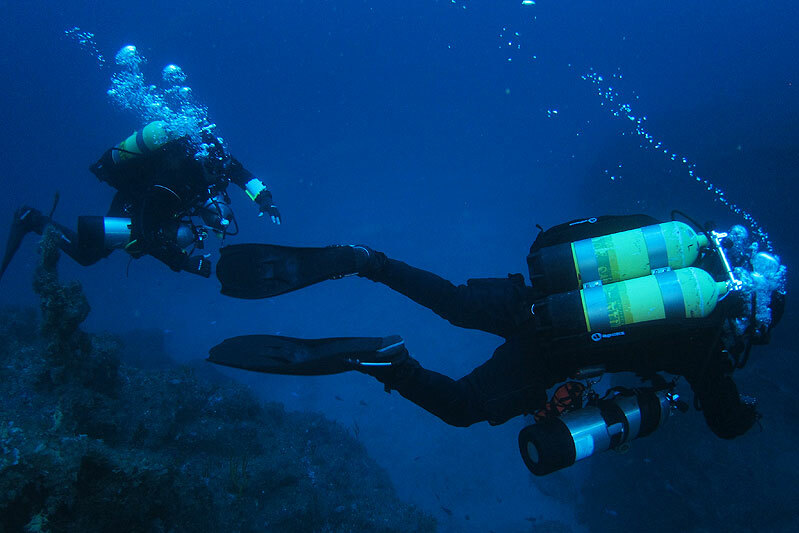 We hold Technical dive courses year round...have you got what it takes? 30 logged dives (10 with EANx, 7 deeper than 30 metres/100 feet).